More and more, women are seeking gentle alternatives when it comes to treating some of the typical female concerns. There is increased hesitation when it comes to hormone replacement therapy in menopause. Then there are other conditions such as infertility, premenstrual syndrome and menstrual complaints. Are alternative treatments indeed effective? Which natural gentle therapies are available? Here are some hints which you may find of interest and which may work for you. Menopause is a completely natural state. If you can readily accept the changes, then you have already gained a lot. There is no reason to be afraid of menopause – it is not an illness! The word “menopause” comes from the Greek word “pausis” (cessation) and the root “men” (month). It literally means: the “end of monthly cycles”. So the word “menopause” was created to describe the time of transition for women, traditionally indicating the end of fertility by the permanent ceasing of monthly menstruation. So like the name suggests, menopause should be accepted as a period of changeover. One type of treatment used by physicians to relieve the complaints of menopause is the hormone replacement therapy. When you choose this type of treatment, the naturally decreasing levels of estrogen and progesterone are kept up for many more years by artificial hormones. But this approach is deceptive and associated with risks. Based on a study within the American “Women’s Health Initiative”, in which 16,608 women participated, long time hormone replacement therapy was proven to be potentially damaging to health. 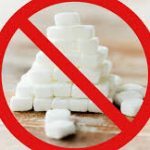 For example, there could be cases of gall stones, proneness to thrombosis, disposition to breast cancer and uterine cancer. Some conditions for which hormone replacement therapy is contraindicated include starting the therapy after a heart attack, deep vein thrombosis, pulmonary embolism, endometriosis, myoma, liver complaints, diabetes mellitus, high blood pressure, migraines, epilepsy and obesity. Hormones can be used in the form of patches, pills and injections. You may be downright shocked when you find out about the origin of some of them. Estrogen, for example, cannot be synthesized in a lab and must be obtained from the urine of pregnant horses. Tubes are inserted directly into their bladders to collect the hormone containing urine and process it into hormone preparations. There are 26 ranches in Canada established specifically for this purpose. An awful thought that “medicines” produced by having horses suffer are used to reduce the complaints of menopause. But is it always necessary to automatically take hormones in menopause? In most women, menopause occurs between the ages of 49 and 55. However, because of lifestyle and environmental influences, these days some women have fatigued ovaries already in their forties. There are women who do not have any complaints whatsoever as a result of the endocrinological changes, but most do experience some degree of discomfort – be it the typical hot flashes, sweating, heart palpitations, nervousness, sleeplessness or inner restlessness. Then there are other complaints which can cause menopausal women anguish, such as exhaustion, lack of motivation, tension in the breasts, dry mucous membranes (particularly in the genital area), water retention, edemas, loss of bone density, weight gain, emotional sensitivity, irritability, aggressiveness or depression. Just as an interesting aside, vegetarians have been noted to have far fewer of these problems in menopause. It is also astonishing that many women believe that the end of the menstrual cycle means that sexual activities become unimportant. But sexual desire remains in force until old age – only it changes. It just needs to be channeled and cherished, and the completely natural changeover to more tenderness needs to be accepted. A combination of extracts from the black cohosh (left) and St. John’s Wort (right) helps women in menopause; St. John’s Wort counteracts depressive mood, fear and anxiety. Black cohosh, lat. Cimicifuga, unfolds estrogen-like effects. In numerous clinical studies its effectiveness and tolerance was proven. In the treatment of menopausal complaints, healing plants have proven to have a harmonizing effect on the body and psyche thanks to their hormone-like substances, stabilizing the female hormone balance naturally and restoring vitality. 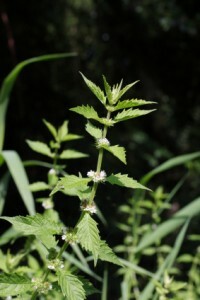 Healing plants can be used as a tincture or homeopathic remedy. Hot flashes, sweating, irritability and nervousness can be reduced considerably. In particular, the extract of the BLACK COHOSH (Aceta Racemosa /Cimicifuga Racemosa) which, when combined with the antidepressive-like ST. JOHN’S WORT, has shown to have good results with its excellent tolerance and non-addictive properties. GELEE ROYALE (royal jelly), a protein-rich secretion on which queen bees feed, in combination with GINSENG and VITAMIN E can help you to better cope with your body’s adjustment in menopause and reduce annoying complaints. Additionally, WATER APPLICATIONS are great as they have a stabilizing effect. A turnaround in the body can be brought about simply by taking contrast showers – first hot, then cold. Cold water releases endorphins, the body’s own painkillers. Nervousness, irritability and feelings of being unwell subside. Other very effective therapies include EXERCISE and RELAXATION, PELVIC TRAINING, BODY PERCEPTION, GROUP DISCUSSIONS and MEDITATION. When tension with inner cramping, emotional hardening and an inhibited state is the problem, then this plant works well. 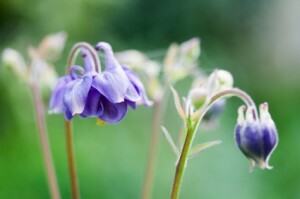 Look at the dark blue blossom of Aquilegia Vulgaris on its metres high stem and it may appear to you like an eagle with its wings stretched out hovering in the air. Detached and noble, it gives a picture of calm and serenity. If the hormonal changes affect the heart, then there will be nervous heart pain, tension and stitches in the heart, palpitations, anxious pulse, chest tightness, angina pectoris, oppressive nervousness and exhaustion. Here, Leonorus Cardiaca is the healing plant of choice. The plant Leonurus Cardiaca looks like a lion’s tail. It symbolizes the woman who works like a lioness, who constantly overworks and pays little attention to her own health. 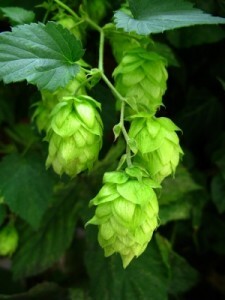 If the symptom picture in menopause is characterized by unrest, nervousness, difficulties in falling asleep and sleeping through the night, then hop (humulus lupulus) works well. The women needing this remedy are often career conscious, ambitious and very determined, which takes away from their peace and inner harmony. A corresponding analogy is emulated by hop in its growth process. As the plant climbs up on natural supports with its shoots, it is always on the lookout for opportune means to leap onto. This picture fits ambitious, driven women with overtaxed nerves. 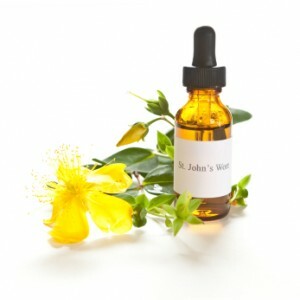 If menopause is accompanied by mood changes, gloom or depression, then St. John’s Wort (Hypericum Perfoliatum) can be helpful. This sun plant matches distressed women who are low-spirited and see everything too gloomy in menopause. With its hypericin storage cells, Hypericum Perfoliatum is capable of storing sun light. This quality of the plant symbolizes the light effect on the human psyche. 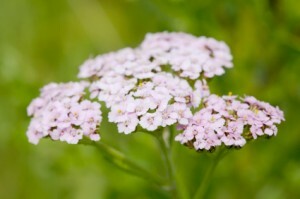 Yarrow (Achillea Millefolium) helps women who are suffering from bleeding at the onset of and during menopause (with bright red blood and hemorrhages). Because of the hormonal imbalance, they react with a lack of self-assurance and self-confidence. The snow white yarrow with a somewhat reddish discoloration typifies pale women (bleeding tendency) with a friendly, warm charisma, but little courage or boldness. 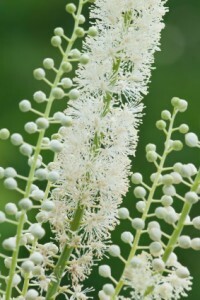 The black cohosh (Acetae Racemosa, previously Cimicifuga Racemosa) is suitable for changeable menopausal complaints such as migraines (on top of the head or in the back of the neck), tension in the neck, inner cramps as well as hot flashes, sweating, hectic feeling, palpitations, dizziness, urinary incontinence and tightness in the breasts. The psyche of these women suffers from strong excitement, irritation and anxiety. 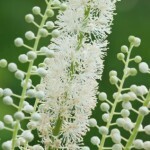 The somewhat jittery personality is expressed in the lively fluttering blossom stand of Acetae Racemosa. 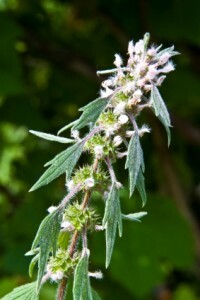 If menopause brings with it a hyperactive thyroid with palpitations, irregular pulse, violent heart activity, fluctuations in mood and vitality, irritability and sensitivity to the weather, then gipsywort (Lycopus europaeus) can give relief. The affected women often are emotionally hyper, restless, exalted and fidgety. Mother nature’s inexhaustible reservoir has some treasures here too that bring effective relief without undesired side effects. 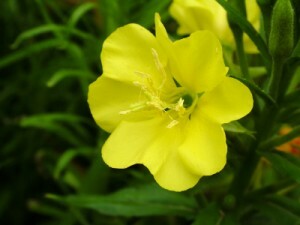 The EVENING PRIMROSE, an Indian plant, has proven particularly effective for such women’s issues. It is to be used in the days before your period, but is also effective for the common complaints during menstruation. It is the precious gamma linolenic acid in the Evening Primrose that is so beneficial. Many studies proved that the body can use the gamma linolenic acid to synthesize vital messengers for the metabolism. Often, we are missing these important unsaturated fatty acids as vital components. It is the hormone-like natural substances which can steer complicated biochemical processes into normalized paths. Physical and mental/emotional discomfort are harmonized and even the skin picture can improve significantly. Breast cancer – how can we protect ourselves? The fear of breast cancer is increasing. Often, hormone replacement therapy is being blamed for the increased risk in breast cancer. A Harvard study done in 1995 on 120,000 nurses showed that one in 29 women treated with hormones must expect to get breast cancer between the ages of 60 and 70. In those that were not treated, only one in 50 were affected. It seems to be a fact that genetics play a role, and – that young mothers have to be less afraid of getting breast cancer later in life. A very effective prophylaxis, acc. to a study by Dr. Leslie Bornstein, in which more than 1,000 Californian women participated is: EXERCISE! Regular body training could reduce the risk of breast cancer in women before menopause by more than half. Acc. to Prof. Bornstein, you should exercise four hours per week in order to effectively protect yourself. Also, make sure that there are plenty of fruits and vegetables on your menu if you are looking to reduce your risk of breast cancer. For example soy beans and olive oil – but also green tea. Pregnancy is the most natural thing in the world. Right! So why then are there so many books and fertility clinics that deal with our unfulfilled desire to have children? When couples remain childless, a life crisis can develop, deep depression can set in. Children play a central role in just about every culture: Without children there is no future! So it is no wonder that herbalists, healers and shamans have tried to help infertile couples all along. The offering of holistic methods to increase fertility is extensive. Acupuncture, osteopathy, homeopathy and herbalism, relaxation techniques and fertility massages, colour therapy, essences or Bach flowers – the list of therapies is long. Whether we fight against it or not: There are some conditions which we cannot change. Of course, we all would much rather live in a world without stress and toxins. But at the same time, we know that that’s not in our power. We can, however, influence our personal lifestyle directly. Let’s start with tobacco. Smokers have more problems conceiving than do non-smokers. And this is no wonder: There is more nicotine in their endometrium than in their blood! And men who smoke often have bad sperm quality. If you drink lots of coffee you will also less likely get pregnant. It is understood, of course, that you should not drink alcohol if you want to have a baby. What is less known is that overweight women have a harder time getting pregnant. The ability to father a child is also reduced with overweight men. So a healthy lifestyle should be first priority when you want to have a baby. In order to cleanse and detoxify your body it is especially important for couples who want to have children to drink plenty of fluids on a regular basis. If you are athletically active or using the sauna, you will sweat out toxins here too. A healthy diet should include lots of vegetables and just a little animal fat, because this is where environmental toxins could be hidden. A visit to the dentist could be in line too. Because chronic gum infections, periodontitis, have shown to cause unwanted childlessness. In periodontitis, bacteria have settled in the gums, causing infection. When brushing your teeth, bacteria could end up in the blood stream through small injuries in the gums and cause inflammatory responses in different parts of the body. Studies have shown, for example, that labor can set in prematurely. It is believed that in women who have periodontitis the chances of the fertilized egg nesting are smaller. 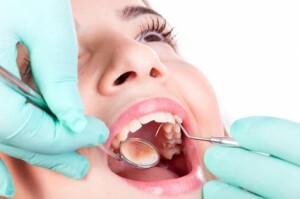 Therefore, healthy gums are advisable if you want to get pregnant! As far as treatment of infertility is concerned, I wanted to mention a homeopathy project at the University Women’s Clinic in Heidelberg, Germany, which created a sensation a while ago. Approx. 1.6 million couples in Germany alone are unwantedly without children, as reported in the Medical Tribune. Worldwide, one in every seven couples has trouble conceiving. Intolerance to drugs, multiple pregnancies and other side effects are often the disadvantages of conventional treatment. The alternative therapies performed at the University Women’s Clinic in Heidelberg had some astonishing results – first, with acupuncture and later with homeopathic single but also complex remedies. As treatment with acupuncture needles was too painful for some patients and it was conceivable that other methods which influence the body’s own regulatory system could be just as effective, the efficacy of homeopathic therapy was tested. The result of homeopathic treatment on 119 infertile women: 25 pregnancies = 21 % success rate! Key findings were that based on the results it was understood that for women with infertility not caused by a condition of the fallopian tubes or a pathological spermiogram, homeopathic treatment makes sense. Not only that there are no side effects, but homeopathic therapy leads to a normalization of numerous menstrual and menopausal dysfunctions too. Another advantage: In contrast to hormone therapy which often leads to miscarriage, miscarriages are not increased when being treated homeopathically. And the treatment is less time consuming for women. Another finding was that pollution load (pesticides, heavy metals) had a negative effect on female fertility. 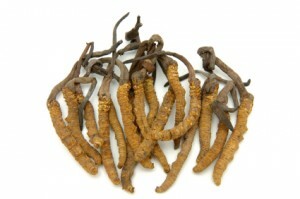 In other studies, the positive effect of the Asian CORDYCEPS mushroom on fertility was proven. In an animal study for example, not only did sperm quantity increase, but the sperm was much more mobile too. In women who had taken Cordyceps, the production of reproductive egg cells was increased because a number of key enzymes were activated. The most common reason for infertility in women is the so called polycystic ovary syndrome. This is caused by a metabolism disorder, often in combination with lowered progesterone. In these women there is no ovulation, so they cannot get pregnant. Several studies have shown that the MU-ERR-MUSHROOM (Latin: Auricularia polytrica) alone or in combination with the herbal mixture “liu wei di huang” has had a positive effect on this hormonal situation: Progesterone levels increased and ovulation was promoted. So if you want to stay healthy and feel good physically and emotionally right into old age, then take responsibility and initiative. My best advice is to use natural medicine whenever possible and chemistry only if need be. There are, of course, many other treatments and therapies available apart from the ones mentioned above. Talk to your doctor about your choices. Or, call the office at (519) 603-0505 to book a free information session to see what homeopathy can do for you. We’d be happy to talk to you and help you with your concerns.